Why work at Spray Marks? 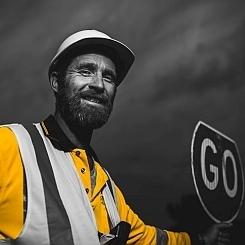 Employing around 160 people in the Canterbury region from on road to the boardroom, we offer opportunities in fields as diverse as traffic management, paint application, engineering, mechanical, graphic design, operational planning, contract administration and finance. And once you’re on board, we want you to be the best, so we train you to lead in your field. 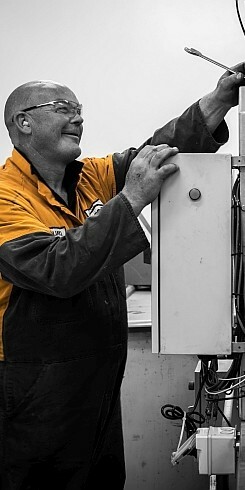 Our workshops are well equipped and our vehicles are well maintained. We have excellent systems and use SAP B1, Enprise Job Cost, Microsoft Project and Adobe InDesign. We understand that family is important and do whatever we can to provide a family friendly atmosphere. We employ husbands and wives, brothers and sisters, fathers and sons. With flexibility and opportunities to travel or work nights we also offer great prospects to try, learn and work on something new. Benefits include Health Insurance for both you and your family, a shutdown period so no-one ever works at Christmas and Fruit Wednesdays where a big box of delicious fruit is delivered once a week to each branch. 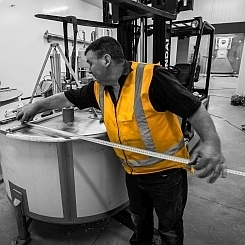 We are always looking for great people for different roles at Spray Marks. Starting out in the roadmarking industry, Spray Marks has marked nearly every road in the South Island at least once.